This week AJ Bell have announced new charges for their customers from 1st October 2016. 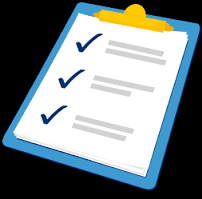 The new charges apply to all types of account - SIPP, ISA, Dealing Account and Junior ISA. The tiered custody charge of between £5 and £25 per quarter will be abolished. Charges for holding funds will be increased from 0.20% to 0.25%. Therefore, with a typical funds-only portfolio of say £50,000 the extra charges will be £25 p.a. I believe those with larger portfolios will take a hit as currently the charges are capped at £200 but with the new charges this cap will no longer apply and the 0.25% applies up to £250K then 0.10% up to £1m. The dealing cost for buying/selling funds will be reduced from £4.95 to £1.50. For those in drawdown who do not take an income, the £60 admin charge will be dropped. The biggest change is for those holding shares, investment trusts and ETFs. At present they pay no platform costs apart from the dealing charges to buy/sell. Under the revised structure, they will pay a new custody charge of 0.25% but this will be capped at £25 per quarter. So, those with a portfolio of shares, ITs and ETFs to the value of £40,000 or more will now pay an additional £100 per year. This option however may be worth looking at for those with larger fund-only portfolios who will be able to potentially save up to £500 p.a. As with sipps, the dealing charges for funds is reduced to £1.50 which will make regular drip feeding more attractive. Platform charges for funds increases to 0.25% however, those with larger portfolios will be adversely affected as current charges are capped at £200..
A 0.25% new custody charge will also apply to portfolios holding shares, ITs and ETFs however this will be capped at a lower rate of £7.50 per quarter (£5 junior ISA) compared to the £25 for sipps. So, those with a typical portfolio of £50,000 will pay an extra £25 per year for holding funds but will save £3.45 for each sale or purchase which could work out as a net saving for many. Those holding mainly shares etc. who currently escape the platform charges will now pay £30 per year extra. The same charges will apply to the new Lifetime ISA when introduced in 2017. It seems to me that the people most affected will be those with larger portfolios over say £100K holding mainly funds as their charges are currently capped at £200 per year for both ISA and SIPP. With the new charges they will pay 0.25% on their portfolios up to £250,000. 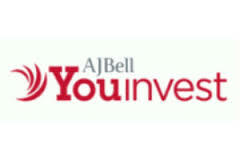 I have my flexi-drawdown SIPP and ISA with AJ Bell and hold a mixture of funds - Vanguard Life strategy & Vanguard UK Equity Income - investment trusts and shares. These days, I do not do a lot of dealing so the reduction in the charges for funds will make little difference. If I were building my portfolio, it would possibly be more attractive. I have tended to hold mainly investment trusts in my sipp which had the added advantage of avoiding platform charges but the changes will mean it would be no more expensive to hold funds so I may well be looking at a switch into the Vanguard Lifestrategy for my SIPP. With my ISA, I am slowly selling down my shares but hold a significant percentage of my portfolio in investment trusts. There will therefore be additional charges but these will be capped at a maximum of £30 per year so it’s not so big a deal. Last year I opened a second ISA with Halifax Share Dealing for my funds as the platform charges were only £12.50 per year which seems like very good value for most portfolios where there will be little or no dealing. It will be interesting to see if there is any knock-on effect with other platforms. Feel free to leave a comment below if you will be affected by the new charges. In the past few weeks there seem to be several articles around the subject of income in retirement. My fellow UK blogger RIT recently hit his FI number of just over £1m and is now looking to firm up plans to retire from the hard slog and live off his accumulated wealth in sunnier climes. His route to this monumental achievement in double-quick time is an inspiration to all - seriously well done if you are reading RIT! Whilst RIT may now have learnt to navigate the investment world like a seasoned pro, lets face it, for many if not most people, the world of personal finance - pensions, investments, ISAs - can be a big challenge. Of course we cannot expect to be knowledgeable in every aspect of life and as not many people have expertise in such areas as legal matters or pension planning, we have solicitors and financial advisers to help us out… but at a cost. However, as a result of the Retail Distribution Review in 2014, fewer and fewer people have access to affordable financial advice, just at a time when more and more people need it. According to the FCA, two-thirds of retail financial products are currently purchased without advice, while many people with less than £100,000 to invest are going it alone when choosing pensions, investments and retirement income products. Many of these people will therefore be considering a diy option for their retirement plans. The traditional goal of wealth accumulation is generally to seek the highest returns possible in order to maximise wealth, subject to the investor’s risk tolerance. After retiring, however, the fundamental objective is to sustain a certain standard of living while spending down assets over an unknown, but finite, length of time. Investing during retirement is a rather different matter from investing for retirement, as retirees worry less about maximising risk-adjusted returns and more about ensuring that their assets can support their spending and lifestyle for the remainder of their lives. In a recent article on selling capital units from my Vanguard fund to provide ‘income’, there was a comment from Dave asking about drawdown strategy which set me thinking about the subject in more detail and hence this (rather long) follow-up post. It is now over 4 years since I converted my sipp to pension drawdown. Here’s a link to my latest review in June. Having built up my pension pot over many years, I was reluctant to hand it over to one of the large insurance companies in return for a once-and-for-all annuity as the rates on offer were not very attractive. Since then, the annuity rates have fallen further and are currently even less attractive than in 2012. I more or less carried on with a similar portfolio of investment trusts and PIBS used during the build phase - instead of reinvesting dividends and interest, they were withdrawn for income. Over 4 years, the returns so far have been a little better than expected at over 9% per year on average and have been boosted by a very good performance from my smaller company trust, Aberforth. As time passes, I expect this will revert to the longer term average of maybe 6% or 7%. However, I could have used the one-stop simple solution of Vanguard Lifestrategy 60 index fund with its mix of equities and bonds - lower costs, globally diversified - and the return would be 8.2% p.a. My aim at the start was to drawdown a natural income of 4%. I am unsure why I settled on this figure - possibly because the level represents the average yield provided by my investment trusts and shares in the years leading up to retirement. Although pension funds have been transferred from SIPP to my tax-free ISA in recent times, it does not affect my 4% target for income. I do not really make much distinction between SIPP, ISA and cash reserve buffer - the total is regarded as one big pot from which I draw the income needed. Income can be withdrawn on a monthly basis from my ISA - most of my investment trusts pay quarterly dividends - and cash deposit account, and on an annual basis from my SIPP and Lifestrategy funds held in my ISA. What level of income do you need in retirement? What is the timeframe? Check out average life expectancy for age/gender. Personality type and attitude to risk? What is the balance between equities, bonds and other assets in the mix? Natural Yield or Total Return approach? Do you want to exhaust the pot or leave a legacy? What other income will you receive - state/company pension, BTL rental, inheritance etc? The starting point in this process will boil down to the size of the pension pot and the amount of income needed. The bigger the pot, the more margin you will have - but what is a reasonable target to aim for? To keep things fairly simple - multiply your average annual spend by a number between 25 and 35 to give you some indication of the final number required for a comfortable retirement. The figure of 25 gives a pot from which you should be able to drawdown 4% each year to cover expenditure. Therefore, if your annual expenses - food, bills, holidays, etc. etc. amount to £20,000, you will need between £500,000 and £700,000. Most people will probably need less income in retirement than when working and I guess an average figure would vary somewhere between £15,000 to £20,000 p.a. depending on location and individual lifestyle. For example, for those living in London and the South East, the figure will be much higher than someone like Frugal Freddy living ‘up north’ - possibly a difference of £10,000 or £15,000. Someone who can get by quite nicely on £10,000 per year will need a pot of between £250,000 and £350,000. (These figures assume no other sources of income). Will the level of income requirement remain constant throughout retirement or will other income streams such as state pension kick in at some point? Some income will be required for essential expenditure and some for discretionary spend so it will be useful to have some idea of the minimum requirements for annual spend. For the average person retiring at the age of 60 or 65 yrs, the standard drawdown analysis which usually covers a period of 30 years will probably suffice. However, for those wishing to retire earlier - in their 50s or, like RIT in their 40s, some adjustments will need to be factored in to the equation. For a retirement period of 40 years, the 4% rule may still be appropriate however the probability that it will be sustainable will be reduced. For the probability to match the 30 yrs timeframe, it will be prudent to lower the drawdown rate to nearer 3% - certainly in the early years. Of course, a lower SWR means you need a much larger pot. A fund of £500,000 will generate annual income of £20,000 at 4% but an additional 33.3% or £167,000 would be needed to give the same income at 3%. The basic mix between equities and bonds - possibly property, maybe gold - will have some bearing on the level of return that can be expected from the portfolio. The higher the equity allocation, the higher the expected average return but also this comes with higher volatility which for many is probably not so desirable during the drawdown phase. My personal mix has been 60% equities so far but over the coming 10 years or so I plan to reduce this to around 40%. Maybe you can take some guidance from Vanguard’s newly launched Target Retirement Funds (pdf). The equity allocation gradually reduces from 80% to 50% at age 68 yrs and to 30% at age 75 yrs. Of course, as the percentage of equities reduces, the returns will become less each year so this will need to be taken into account. Once you are settled on the balance between equities and bonds, it should be possible to work out the expected return based on long term averages for that particular mix. I often use the Vanguard’s asset class risk tool which gives a figure for historical returns and also a breakdown of negative return years. For example, taking a 60:40 allocation over the past 25 years to 2015 gives an average annual return of 8.6%. There is no guarantee that this will be the return over the coming 25 years but it's possibly the best indicator we have. We then need to factor in a figure for inflation - again, lots of margin for error but maybe somewhere around 2% will be near the mark for the foreseeable future. Therefore we could be looking at a real return from our portfolio of between 4% or 6% p.a. depending your take on future returns and on the level of equities in the portfolio mix. We also need to take into account charges such as platform fees and any ongoing charges of funds or investment trusts etc. This figure may therefore reduce returns by ~0.5% - higher if using the more expensive managed funds. First of all to clarify, we are talking about taking a certain level of income from the investment pot which can go on indefinitely with very little possibility of the pot being exhausted regardless of future market conditions. This is often referred to as the 'safe withdrawal rate' or SWR. It will therefore be important to have some sort of plan or strategy to take advantage of the new pension freedoms. The key question will be - what is the safe and sustainable rate of withdrawal? Various studies have suggested that a rate of 4% should do the job. This was the figure suggested by Bengen in 1994. His studies showed that a 4% rate would have been successful in any 30 year period from 1926. 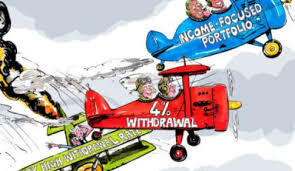 The 4% figure was later confirmed by the Trinity study which showed that a 4% withdrawal using 50/50 equity/bond allocation over a 30 yr period was successful 100% of the time. However, more recently, other research has suggested this figure is too high. For example, Wade Pfau suggests that in today’s low interest rate environment future returns on equities and bonds are likely to be lower and therefore a more realistic rate of 3% should be used. The McKinsey report suggests returns for the 30 years to 2014 may have been exceptional and that we should expect significantly lower returns from both equities and bonds over the coming 20 years. Most of the research I have seen is based on returns from the US market. However there is a recent study (pdf) focussed on the UK market produced for Morningstar which suggests that whilst historic returns for equities and bonds of the UK are broadly similar to global returns, for the near-term future they can be expected to be lower. The study also suggests a 50/50 balanced portfolio is most suitable for UK retirees. For those who may wish to drill down into the nitty gritty of drawdown, Bogleheads provide a summary of the various methods. Constant dollar/pound - in year 1 you draw say 4% of the pot (3% or 3.5% for the more conservative). In year 2 your withdrawal amount is based not on the value of the portfolio but upon yr 1 amount plus inflation. In subsequent years your withdrawal is based upon the previous year and adjusted for inflation. For example, with a portfolio of £100,000 you draw £4,000 in year 1. The following year, you draw £4,080 and in year 3 you draw £4,161 (inflation 2%). Regardless of the ups and downs of the market, income withdrawn will always maintain real spending power as it keeps pace with inflation. However, how would you feel taking ever increasing amounts whilst your capital is falling during a multi-year bear market? Secondly Constant percentage - simply settle on a percentage figure, 3%, 4% or 5% and withdraw this percentage from your pot each year. Of course, the value of the pot will move up or down each year so the amount withdrawn will vary. This may not be an issue if the income is mainly for discretionary spending items and you have other income streams such as work/state pension for essentials. Finally Natural Yield - you spend only the dividends and interest generated from your portfolio. This is the method I chose at the start of my drawdown phase using a selection of investment trusts and fixed interest securities. Personally, I would feel more comfortable with a reasonably predictable annual income which will gently rise to keep pace with inflation. Therefore a combination of method 1 & 3 with the added flexibility provided by my 10% cash buffer. The use of a buffer zone allows me to avoid selling a portion of my portfolio when prices are down. Working on the assumption that there is mean reversion in market returns, I hope this strategy will help to mitigate the effects of bear markets. It acts in a similar way to investment trusts use of dividend reserves which can smooth the distributions. Much will depend on timeframe and asset allocation. For those working on a shorter period of 10 years, it could well be possible to withdraw maybe 5% or 6% p.a. without doing too much damage to capital. Whatever the starting figure, it can always be revised - raised or lowered - as time goes by and actual returns and expenditure become known rather than guessed. Some research suggests it may be possible to obtain a sustainable rate which is higher than 4%. For those who can cope with a more complex approach, the Guyton-Klinger rules (pdf) which are designed to optimise the withdrawal process. 1. The withdrawal rule: Increase withdrawal in line with inflation in the previous years, unless the previous year’s portfolio total return was negative. This is by far the most effective of the rules. By making sure that withdrawals are frozen in the years following a negative portfolio return, the danger of pound-cost ravaging is drastically minimised. Following the rule means you do not ‘make up’ for missed withdrawal increases. 2. The portfolio management rule: Extract the gains from an asset class that has performed best in the previous year to provide the income, and move excess portfolio gains (beyond what is needed for the withdrawal) into a cash account to fund future withdrawals. The last two rules are designed as safeguards to stop the income the retiree slices away from their retirement pot becoming so high that they risk running out of money, or so low that that their lifestyle is drastically reduced. (These two rules are no longer applied within the final 15 years of the planned investment period). 3. The capital preservation rule: If the current withdrawal rate rises above 20% of the initial rate, then current spending is reduced by 10%. 4. The prosperity rule: Spending in the current year is raised by 10% if the current withdrawal rate has fallen by more than 20% below the initial withdrawal rate. Doing this means you should not miss out on higher sustainable spending when markets are doing well. I think this method would be too complex for me however, for some it may be worthwhile exploring the potential for higher income. A simple tool such as that provided by HL can be used to provide some rough figures according to various scenarios. Simply plug in a few basic items - age, gender, size of pot and required drawdown amount and the chart will give an indication of how the pension pot will be affected. A similar tool offered by Fidelity. Based on historical market returns, firecalc is a useful tool to indicate whether any desired income is sustainable from a given lump sum for a given period. Use the tabs at the top of the page to customise the calculations. 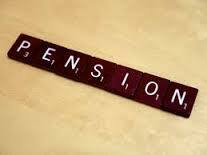 When it comes to pension drawdown, much will depend upon individual circumstances. There is no one-size-fits-all solution. Furthermore, there are no certainties - everything revolves around percentages and probability. How long will you live; what about market returns; what about cost of living and inflation; will you need a care home - if so for how long and at what cost? One big factor in the above scenarios is the level of the markets at your starting point. Obviously, if you were lucky/brave enough to start the drawdown in March 2009, your chances of success with a relatively higher withdrawal rate would be much improved compared to, say starting out some 18 months earlier. Another factor is individual personality - some people are naturally more conservative/cautious than others. Some are more risk-averse and will feel more comfortable with a lower equity allocation and a correspondingly lower return. There are no right or wrong decisions. The person who has spent the past 30 or 40 years carefully building his/her slow and steady pension pot will have a good sense of risk tolerance and is unlikely to adopt a gung-ho strategy by starting with a 6% withdrawal rate for the coming 30 or 40 years of retirement. Finally, be aware that the SWR academic research is mostly looking at a 100% success rate and is based on statistics which cover a worst case scenario. The 4% ‘rule’ would obviously appear more sustainable based upon a 80% or 90% probability of success. Many investors running a diy drawdown portfolio will be familiar with the concept of ‘living within your means’ and during periods of market downturn will naturally be able to decrease spending on non-essentials. They may decide therefore that they not need the luxury of the cast-iron 100% certain drawdown plan. Finally simplicity - one option would be to choose one of the LifeStrategy index funds which corresponds to your required level of equities/bonds allocation, set up a cash buffer to provide income in bear market years and start off with a modest drawdown percentage of 3% or 3.5% - see how it goes for the first few years. Another option could be to hold a selection of managed investment trusts to generate sufficient income to cover essential expenditure combined with the above. Most trusts aim to provide income which should gradually increase each year to keep pace with inflation. They also have dividend reserves which will help to smooth the payouts during bear market periods so there may be less need for a large additional cash buffer. I hope some of the above will be useful to those approaching retirement and who wish to develop a workable diy drawdown strategy. Feel free to share any thoughts or how you manage your personal drawdown strategy in the comments below.